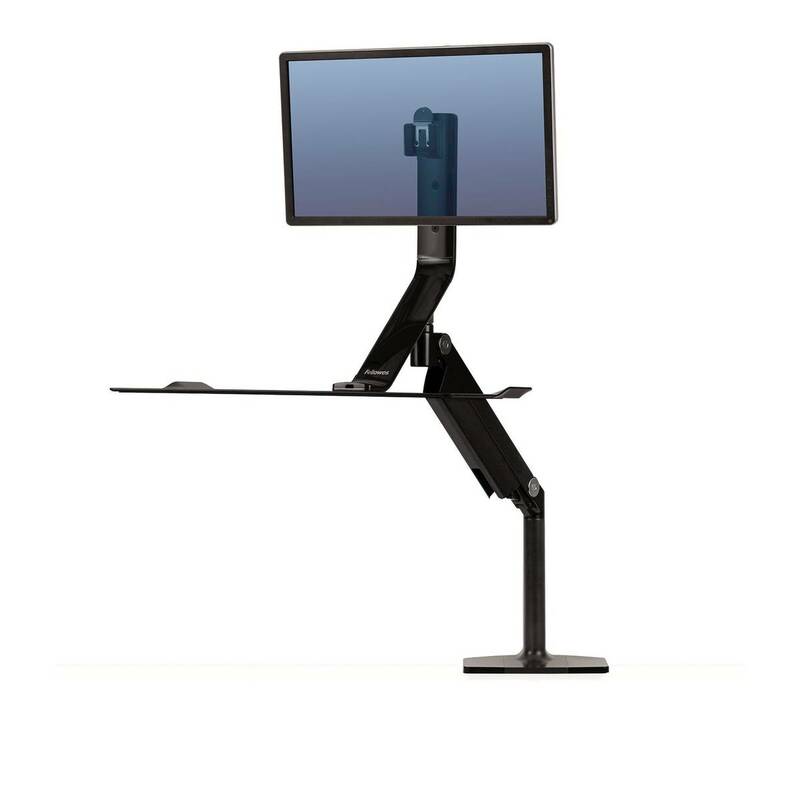 Transform any desk into an active one with the Extend Sit-Stand Featuring Humanscale Technology. 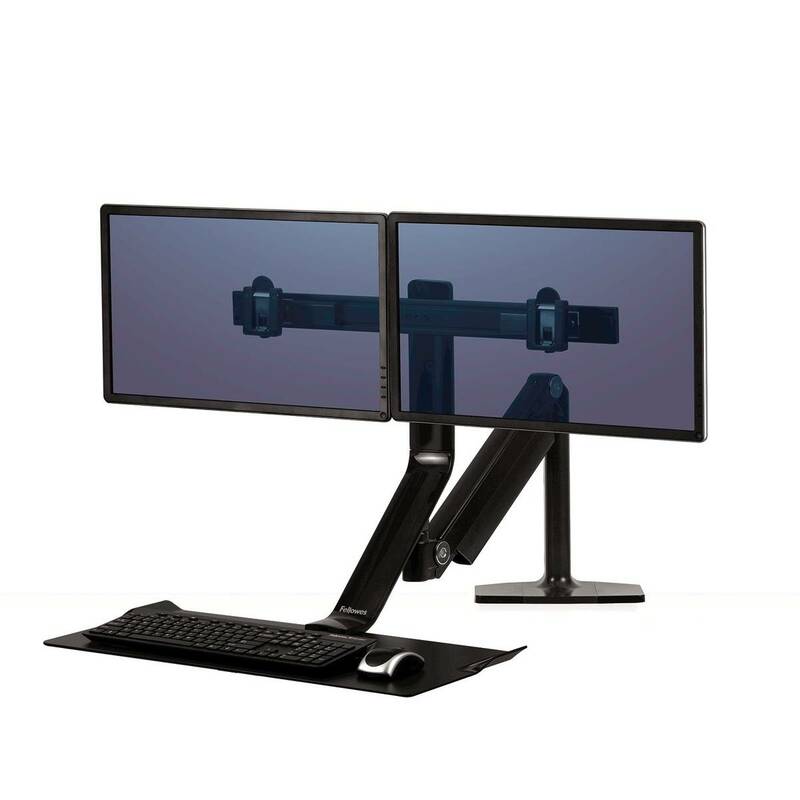 With convenient cord management keeps your keyboard, mouse, and monitor wires all hidden from view. 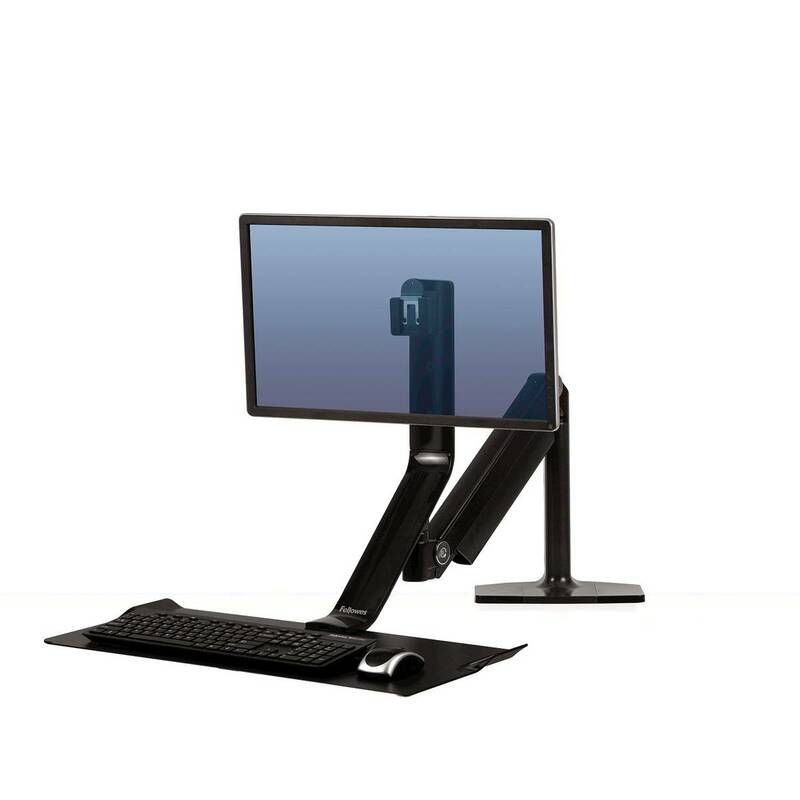 The premium tier articulating arm is easy to adjust, reaches up to 40" and swivels 180 degrees. 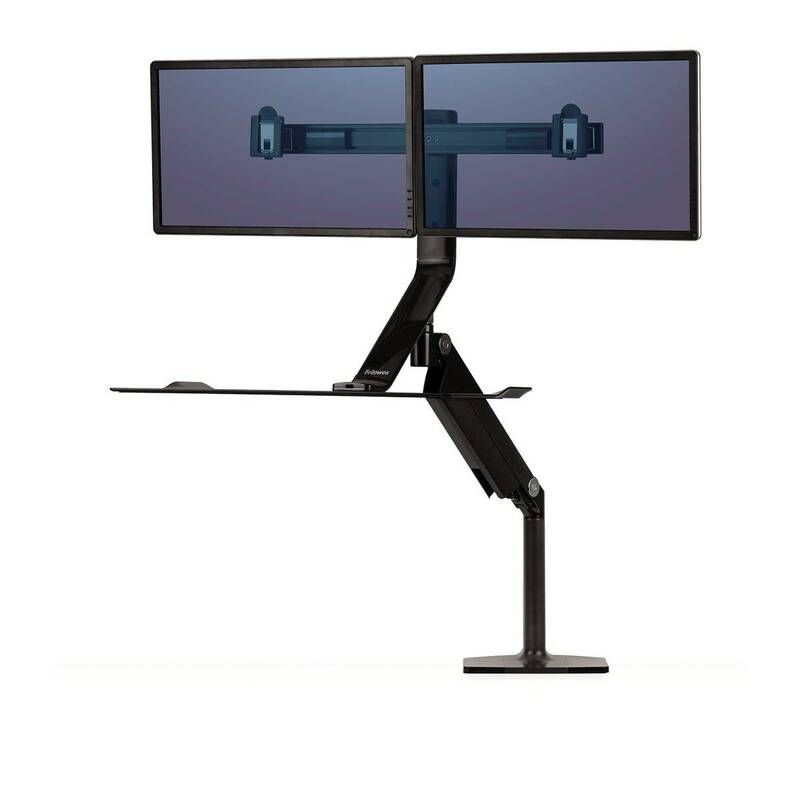 Utilizes a reinforced steel construction and features a single clamp design that can be mounted to the back edge of any work surface.